Made from 100% polyester lightweight Cool Dry fabric, the Adventure Racer Jacket has side pockets and contrast panels on the sleeves, side seams and back of the collar. Are you in the market for a new promotional jacket for your lifestyle and adventure store or for your sporting association? The Adventure Racer may be just what you’re after. Featuring 100% polyester Cool Dry fabric, side pockets and contrast panels, this jacket is available in a range of sizes with three colour combinations. The Adventure Racer has many of the same features as the Adventure Hoodie; it is breathable, iron free, quick dry and provides UV protection. 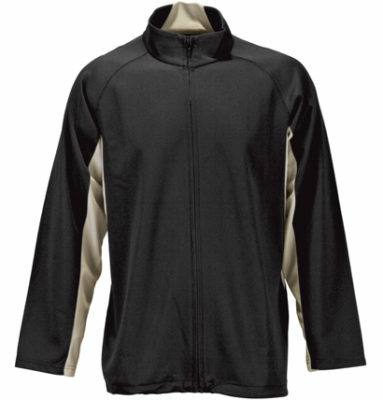 Branded jackets and hoodies are a great way to market your sporting association or business to a wider audience. They are often worn away from the sporting field or the hiking trail, offering your brand more exposure than you may normally see. The Adventure Racer promotional jacket can be branded with your sporting club or business name using either screen printing or embroidery. They can make a lovely end of year gift for your players or coaches, and are a great addition to any hiking, camping or fishing pack. With both the Adventure Racer and the Adventure Hoodie promoting your brand, your members and customers will stay warm and dry throughout winter.